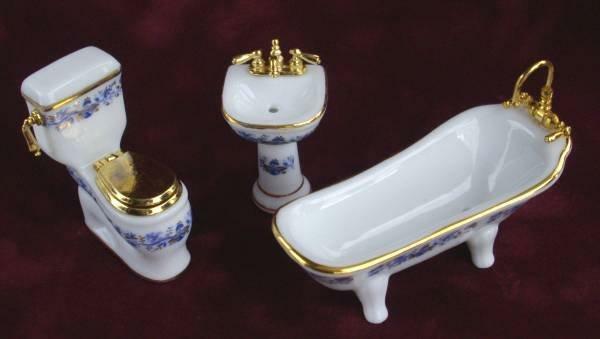 1/24th scale china bathroom. White with gold trim. Toilet - 22mm (0.9") wide, 46mm (1.8") tall.